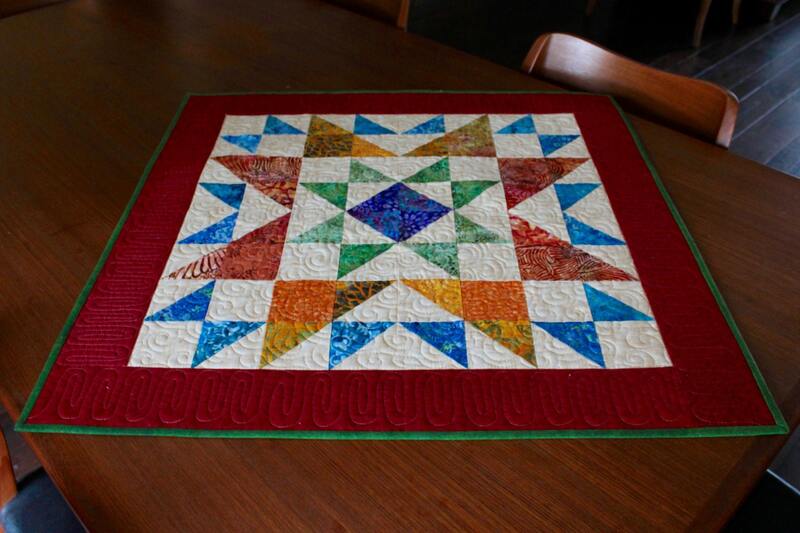 Quilt Pattern - Table Topper - Mini Quilt - Ohio Star - size: 30" x 30"
This small size quilt is ideal for beginners, it is very easy to make. 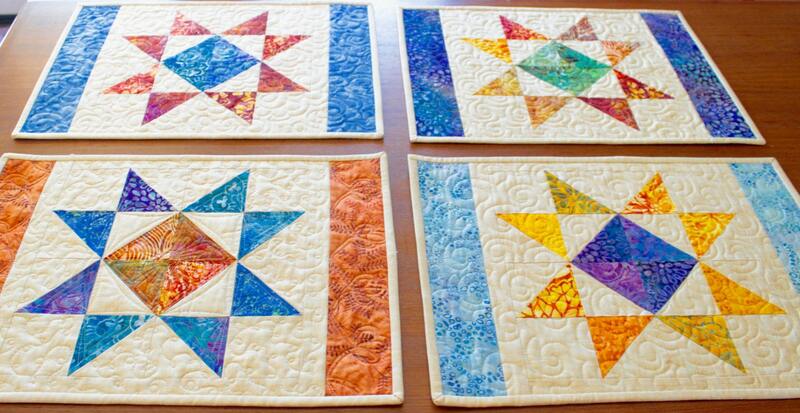 It requires only a small amount of fabric and can easily be quilted on a domestic machine. 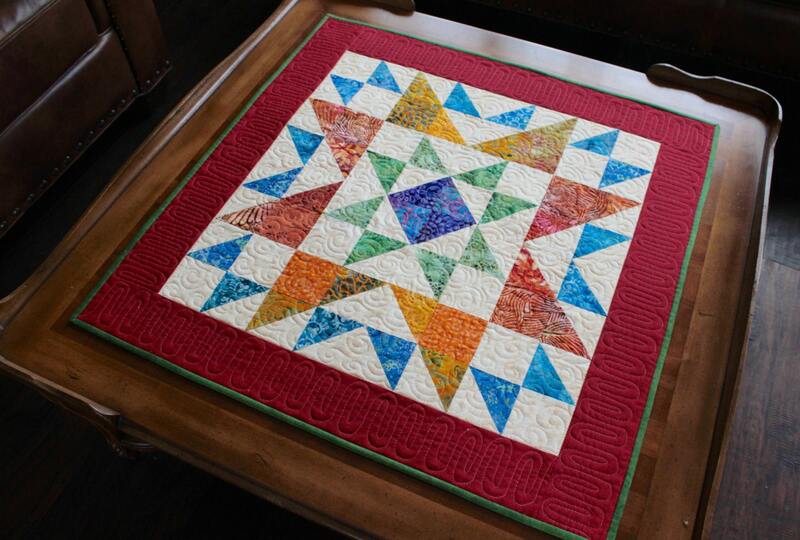 Ideal for using up scraps to make useful and beautiful gifts for friends and family members. The pattern gives you the material requirements, cutting and piecing directions and link to my animated binding tutorial on Youtube.